There's nothing wrong with simplicity. This commode pan with lid and sturdy carry handle is moulded in durable ABS plastic and is designed to make removal, transport, and cleaning as quick, easy, and stress free as possible. 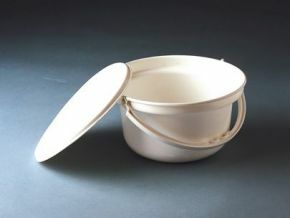 The pan and lid together weigh around 500g.